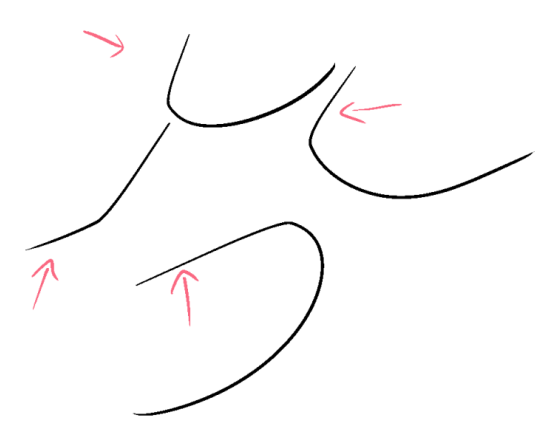 I wanted to leave a warning here that the new driver adds lag to every quick stroke in Clip Studio Paint, making curves have a straight start. I'm using MSP13 256gb, with Clip Studio Paint 1.8. Turning off double click distance (a common fix) does nothing here. Any suggestions? Please look into this issue. Last edited by FVorange on Wed 26. Sep 2018, 08:45, edited 1 time in total. Thank you for this feedback. Which Operating System are you using? Which version of CSP? I tried reproducing using latest driver + Clip Studio Paint 1.8.2 and could not reproduce. Using MSP 16 512GB (Can't test on 13" at the moment but shouldn't make any difference). I can't see any lag and the lines are following my movement accurately. I drew large and small strokes at different speeds. I tried 2 different pens. Please try resetting the driver settings. Use the Wacom Preference File Utility to back up and remove your preferences. Additionally, Please test the pen. Open a new canvas, paint it all black and draw strokes with the eraser end of your pen. Does is also lag? I have the exact same problem, except my MSP is 512GB. Tried strokes with the eraser, same problem. Removed settings, uninstalled driver and installed again, nothing changed. wacom5 wrote: I tried reproducing using latest driver + Clip Studio Paint 1.8.2 and could not reproduce. Using MSP 16 512GB (Can't test on 13" at the moment but shouldn't make any difference). I can't see any lag and the lines are following my movement accurately. I drew large and small strokes at different speeds. I tried 2 different pens. I did a clean install, and the lag problem was still there. Forgot to try the eraser unfortunately. Bakadori wrote: I have the exact same problem, except my MSP is 512GB. Tried strokes with the eraser, same problem. Removed settings, uninstalled driver and installed again, nothing changed. I found out what was causing my problem: Within CSP File/Preferences/Using tablet service, switch from Wintab to TabletPC. I had made a clean CSP install in my new Wacom and that's why the setting was reseted, but I was convinced I tried that change before posting here. I was wrong! Thank you for letting us know. I checked my settings and with both settings my lines were still normal. Are you sure your Windows is fully up to date? wacom5 wrote: Thank you for letting us know. I checked my settings and with both settings my lines were still normal. Are you sure your Windows is fully up to date? I'm using the wintab setting in CSP. When using the Tablet PC setting, the issue doesn't occur but pen accuracy is not as good (ex: when I draw small circles they are jaggier than if I use Wintab). Also, this only happens in Clip Studio, not in photoshop.